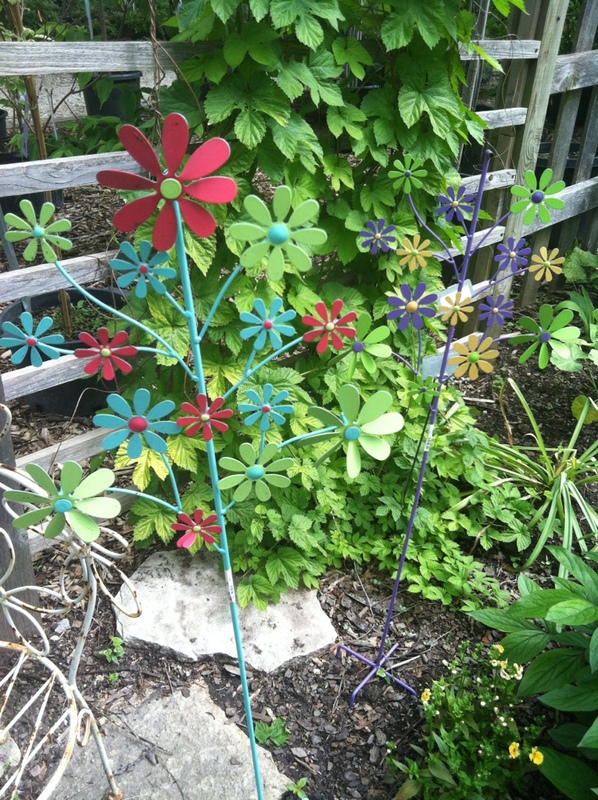 I just love these flower stakes. Everyone has a spot where it seems like nothing will grow or needs a boost of long lasting color. Paired with the settee and kids tables and chairs (below) I think would look fantabulous.